We all love custom bikes because of their looks. Today we are featuring one of the unique bikes, this is Samotracia. The body of the bike and fenders are made up of Copper. Design is focused on the aesthetics of the movement. 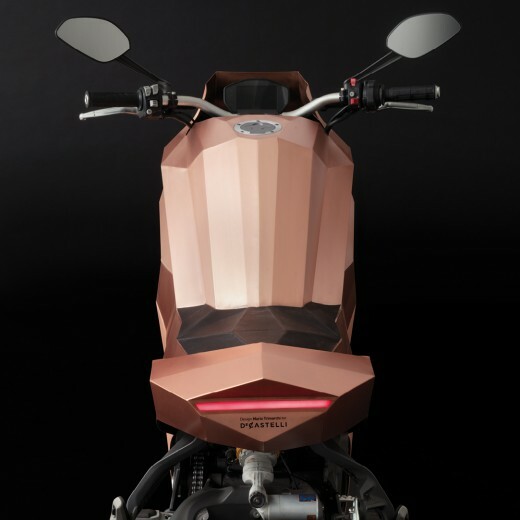 The design gives the freedom of riding bike at the high speed due to the unique body design. The aerodynamics curves have been put aside and the geometrical flows on the faring give the visualization of the speed. 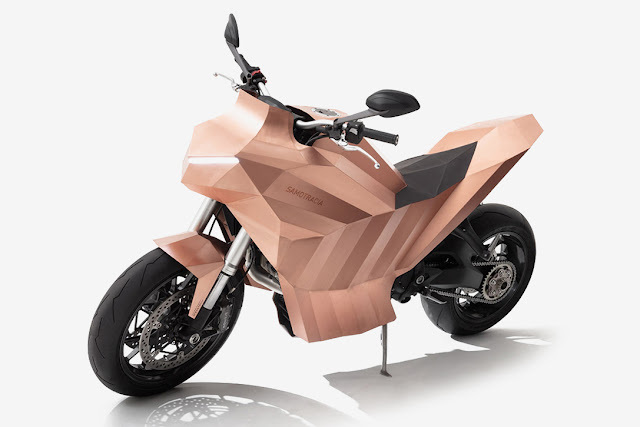 The body of the bike will age which means the color of bike will change from minted coin to greenish because of oxidation. 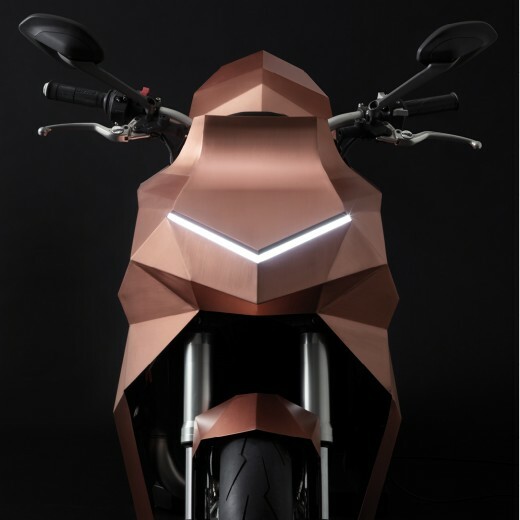 We just hope see this bike on the roads and doing justice to its design.